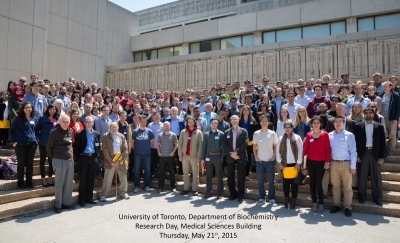 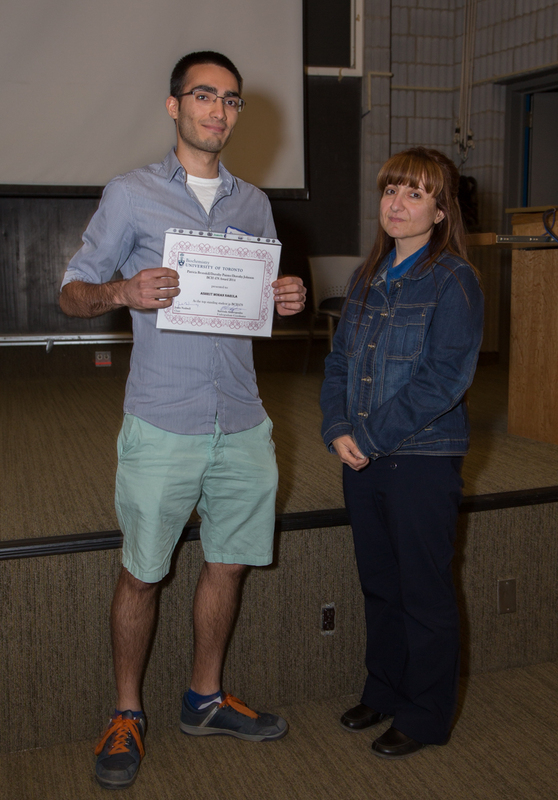 Department of Biochemistry 2015 – click for full-sized image. 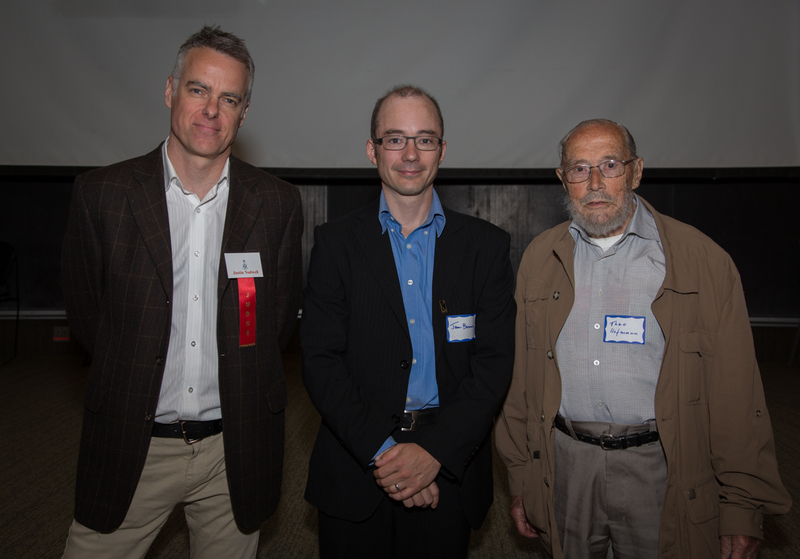 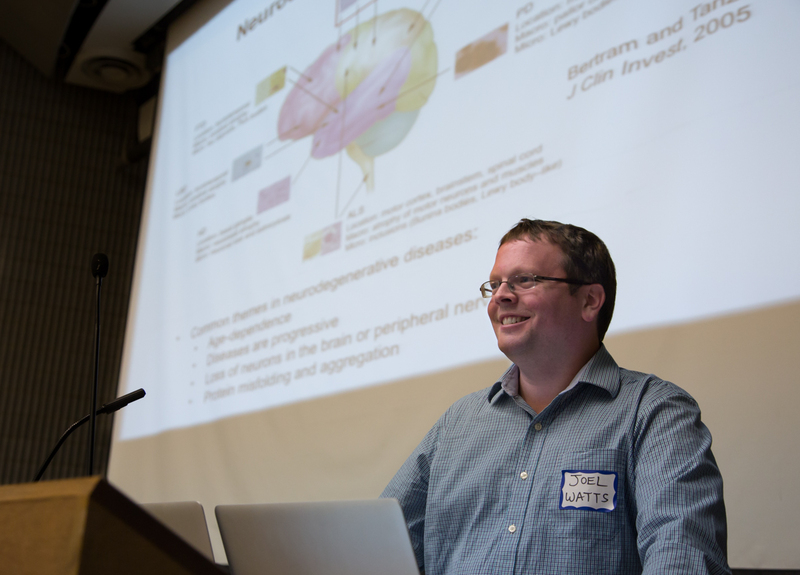 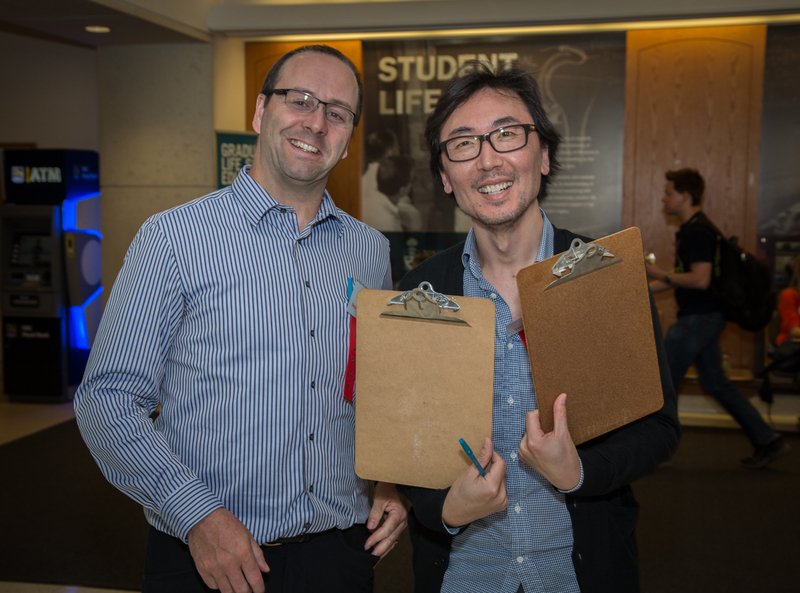 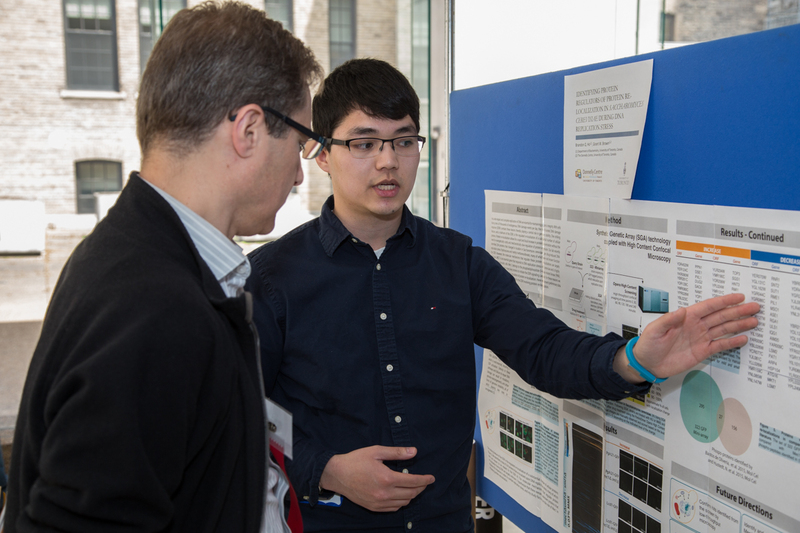 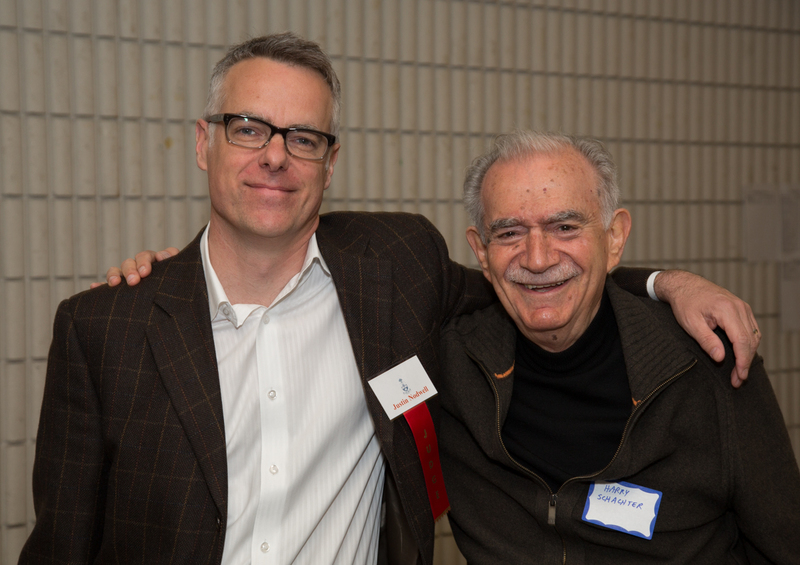 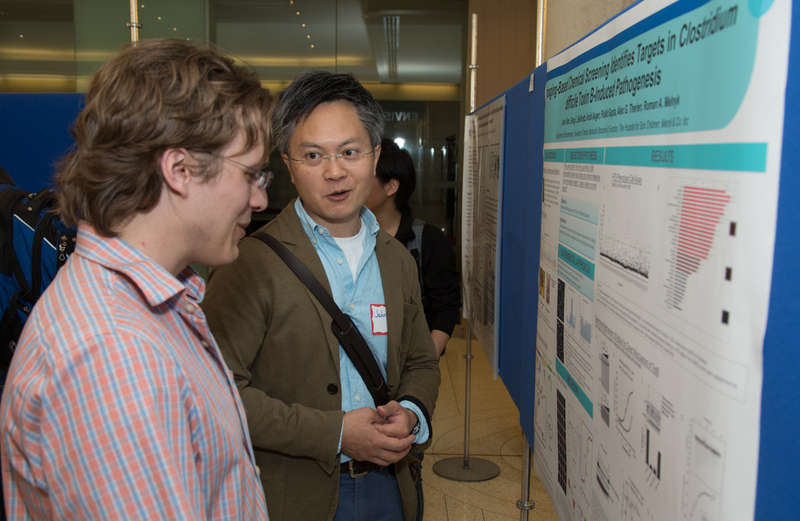 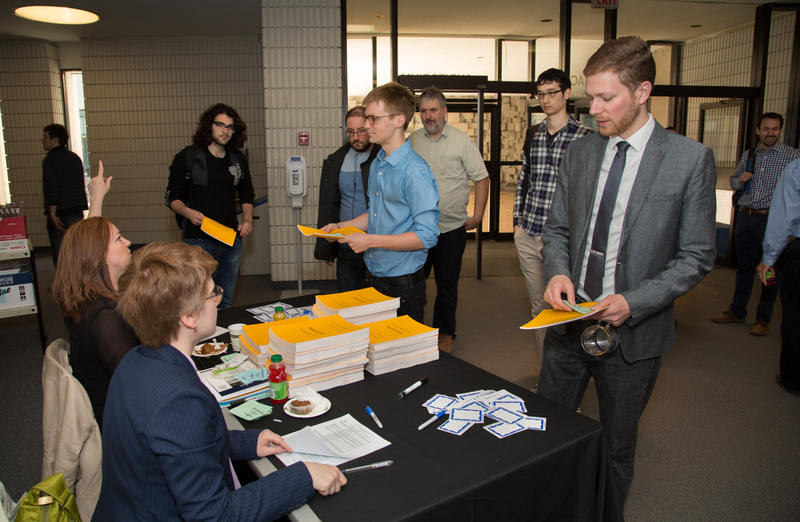 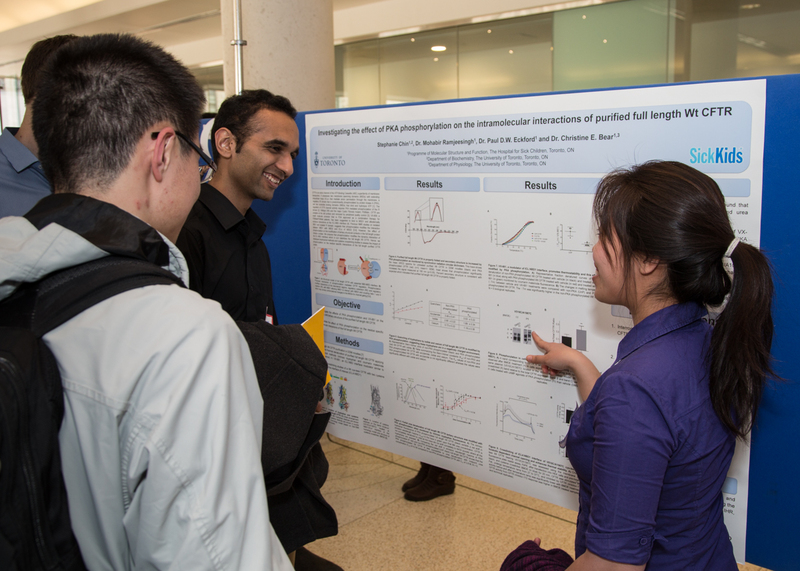 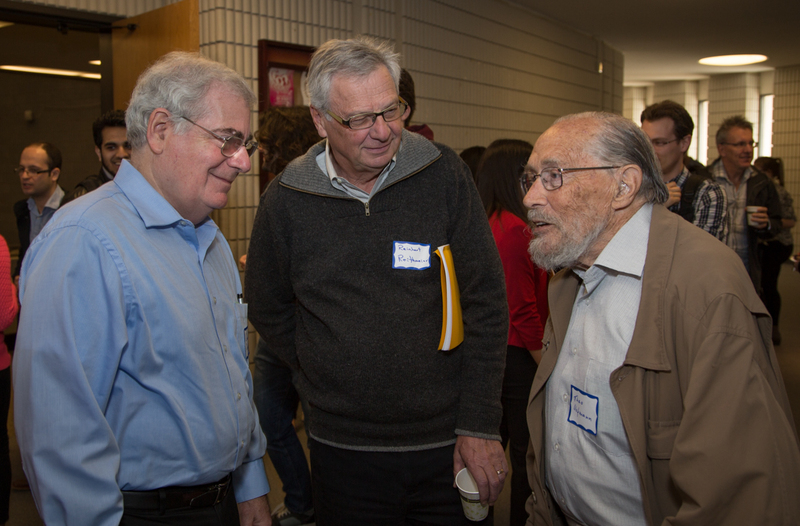 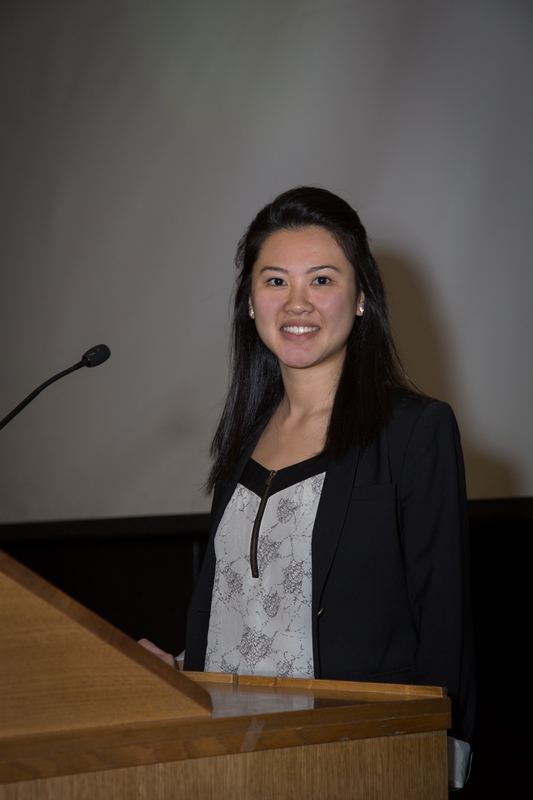 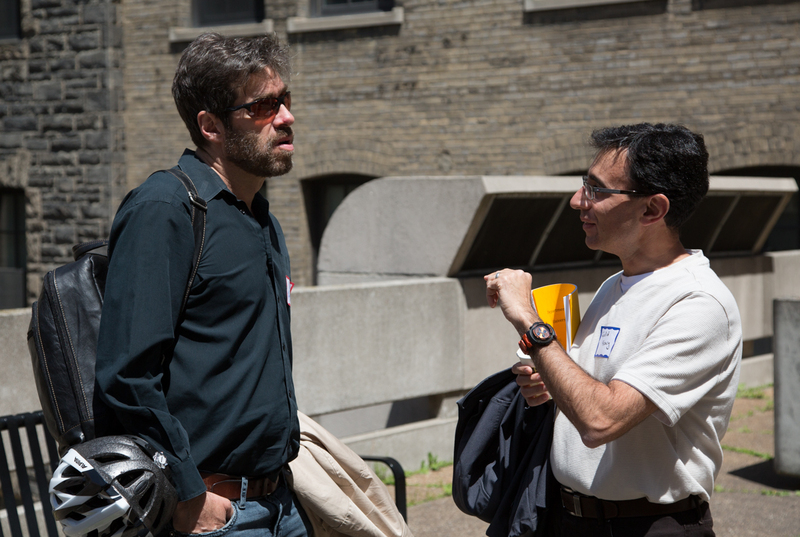 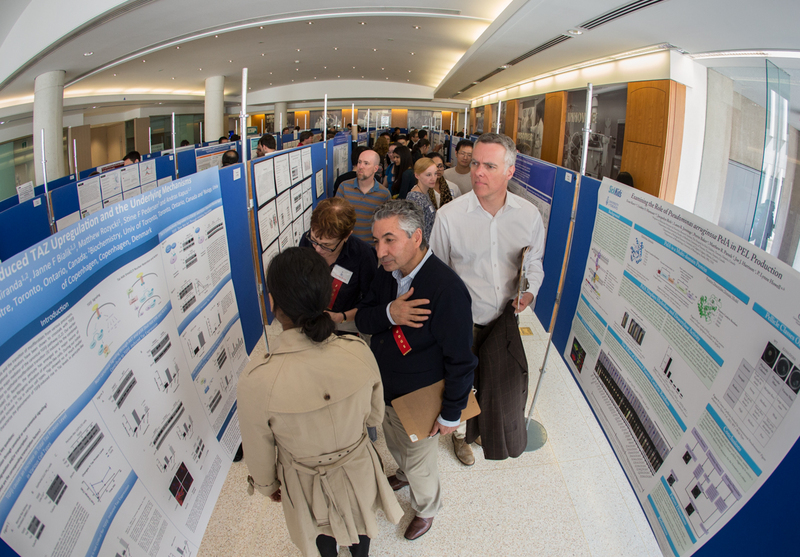 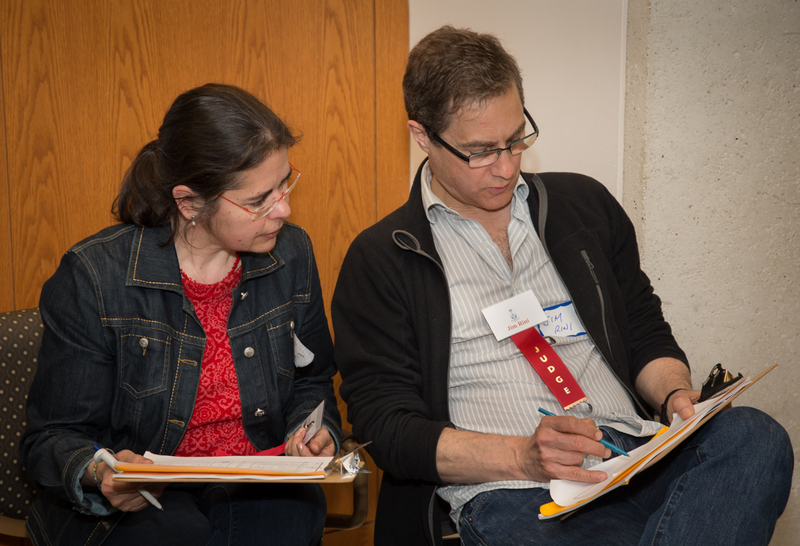 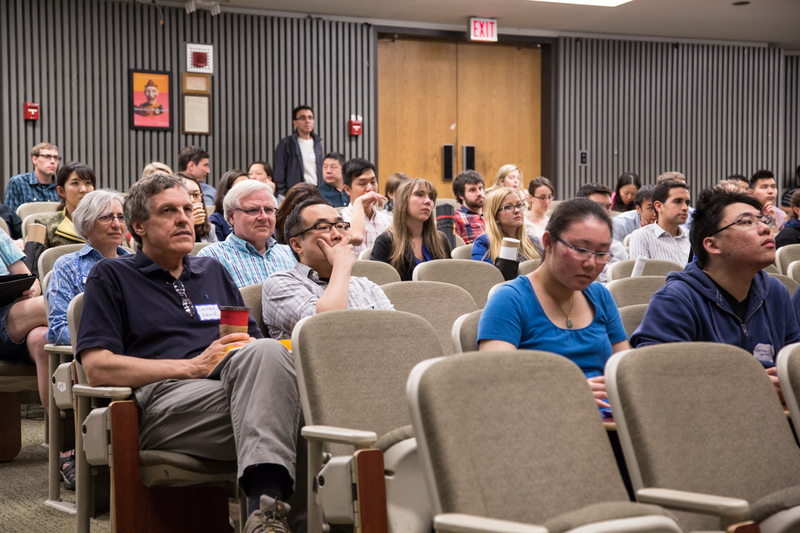 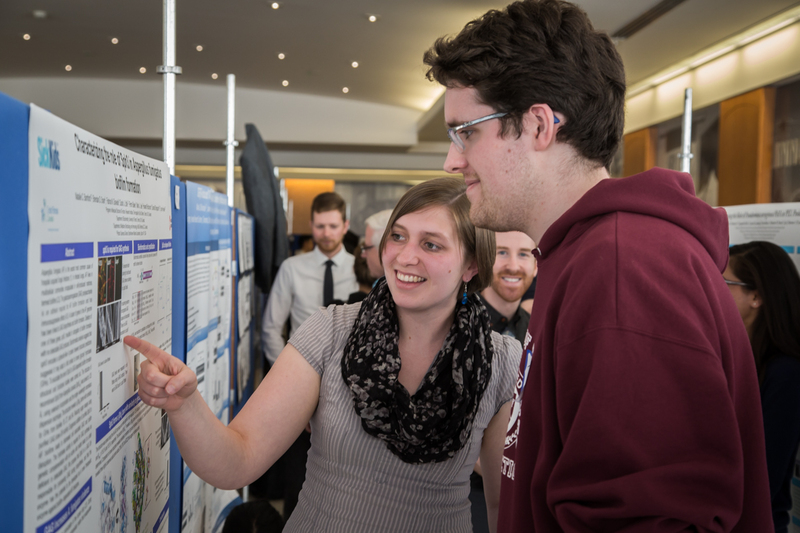 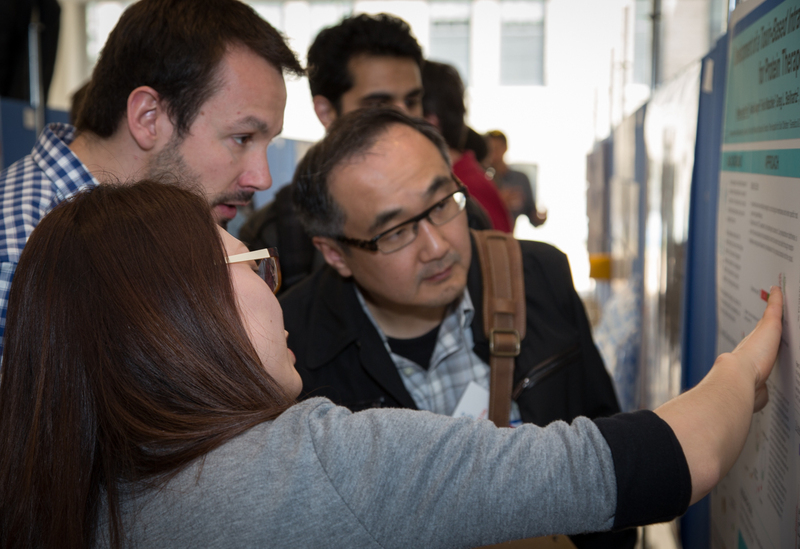 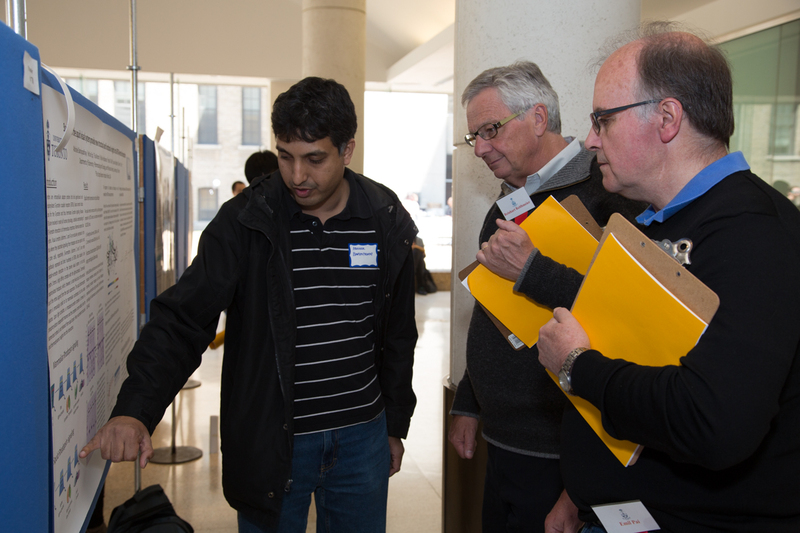 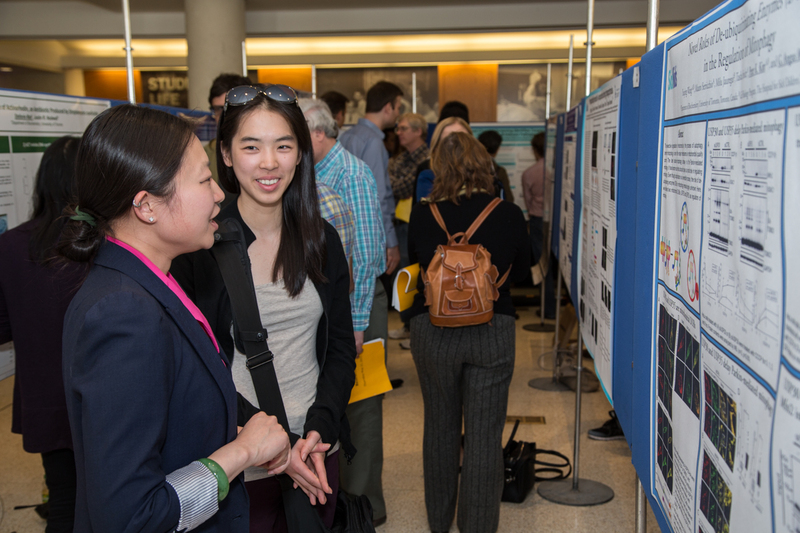 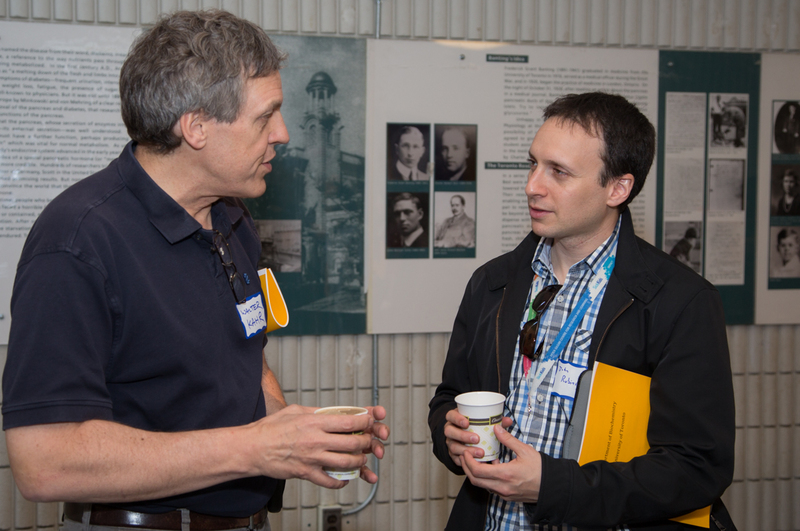 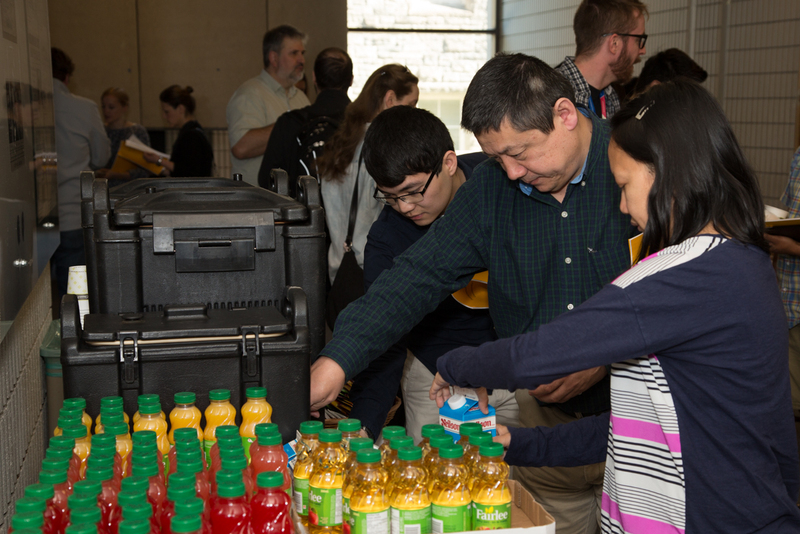 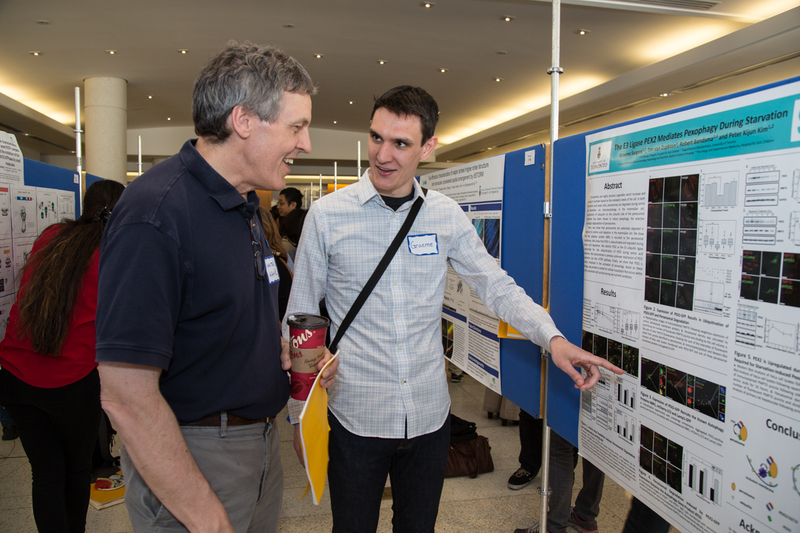 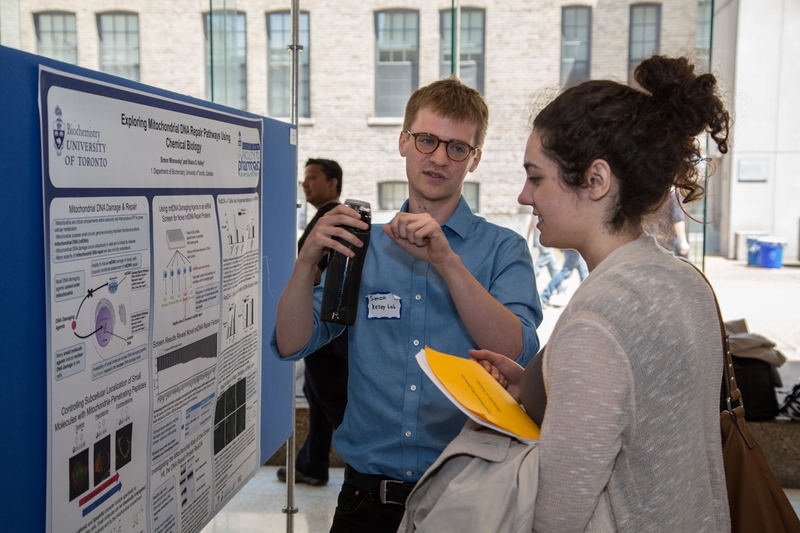 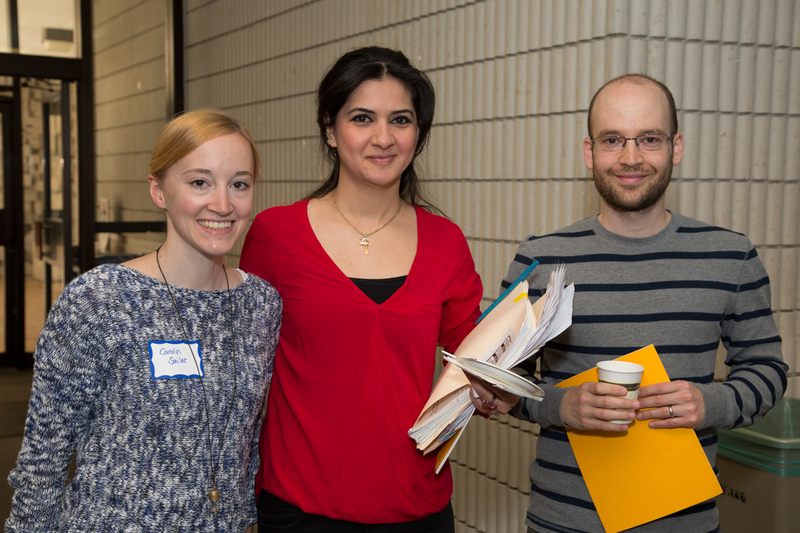 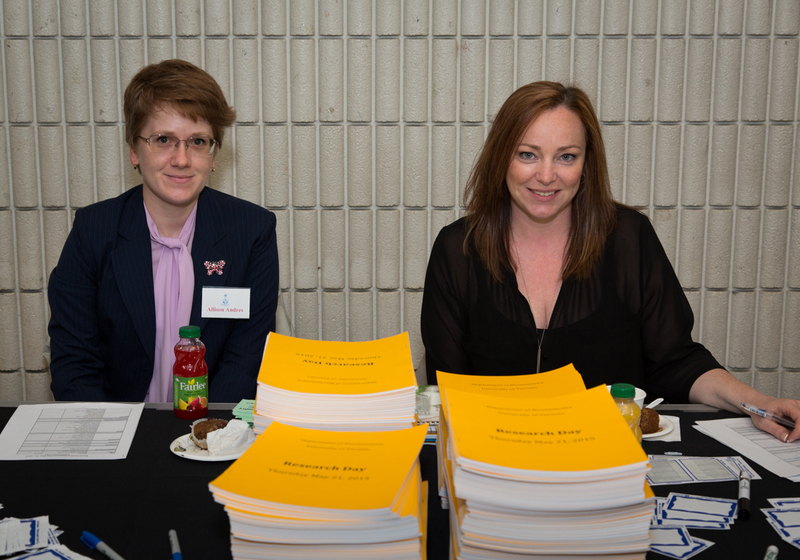 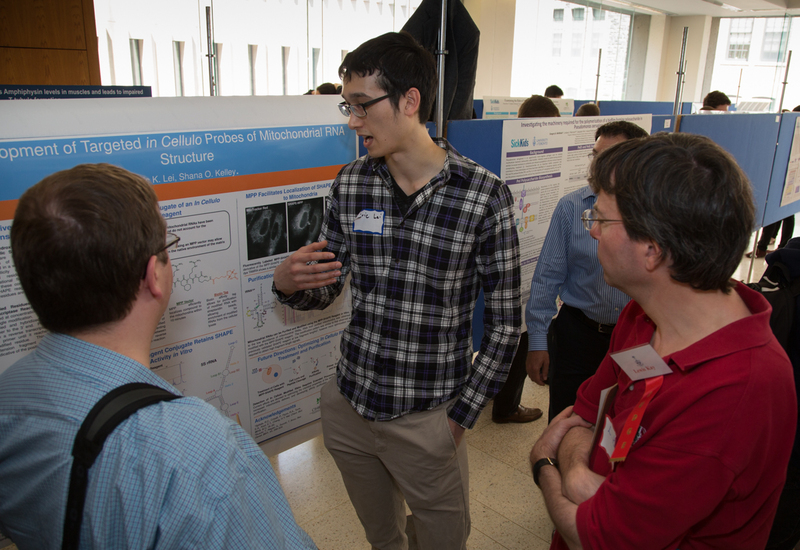 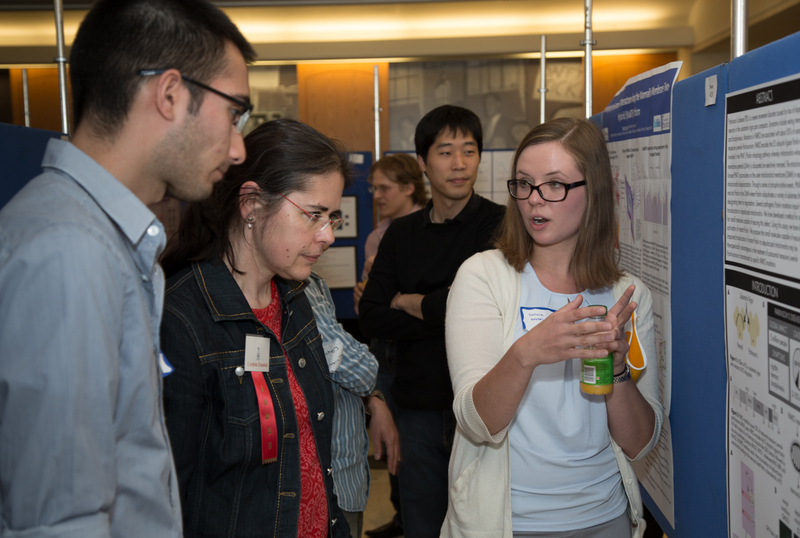 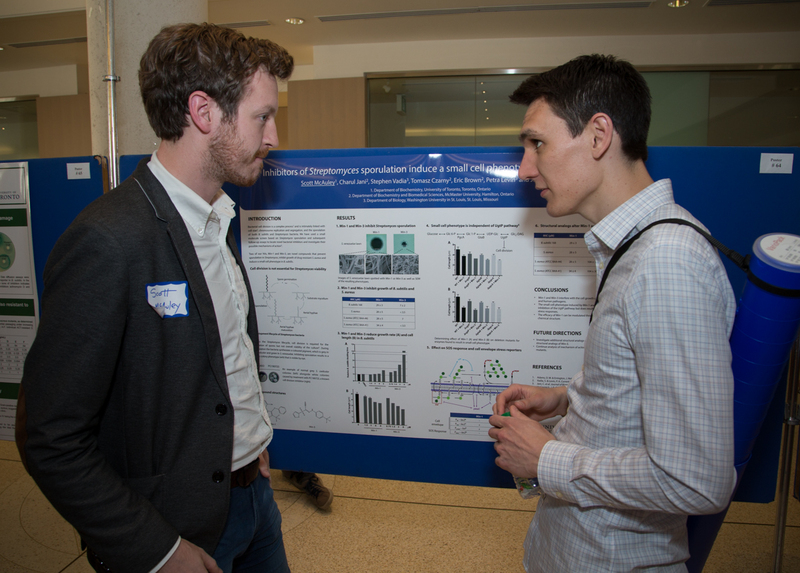 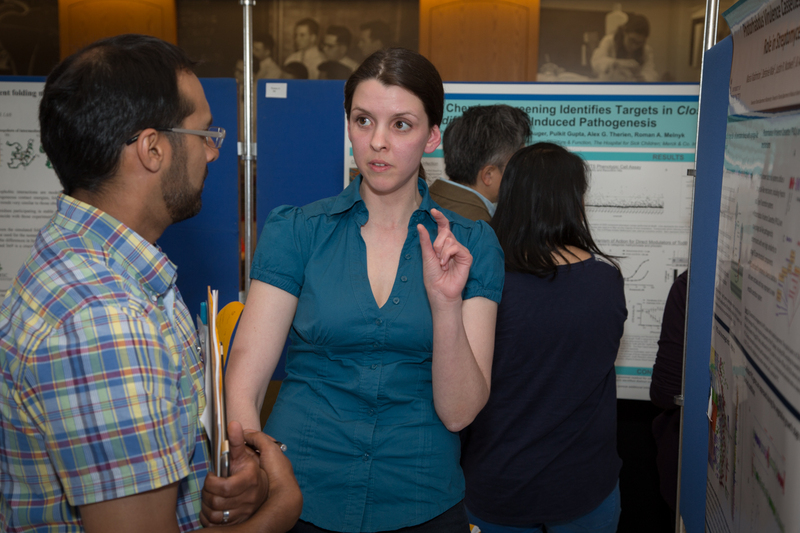 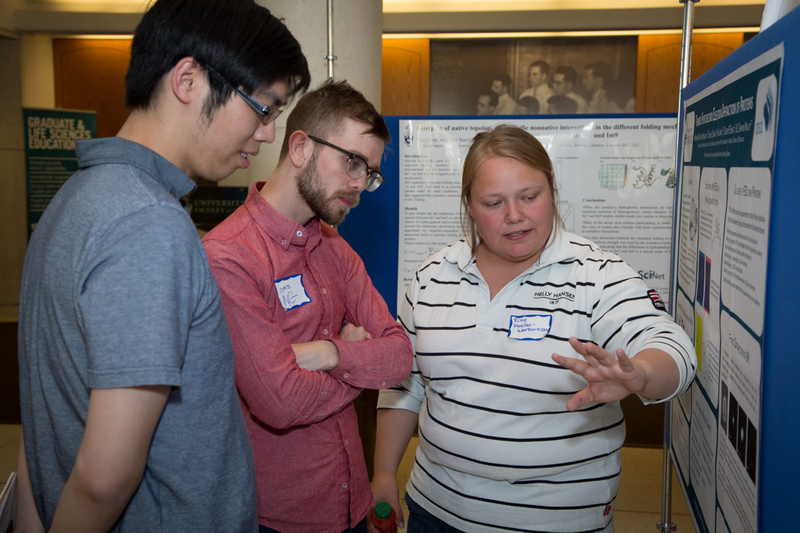 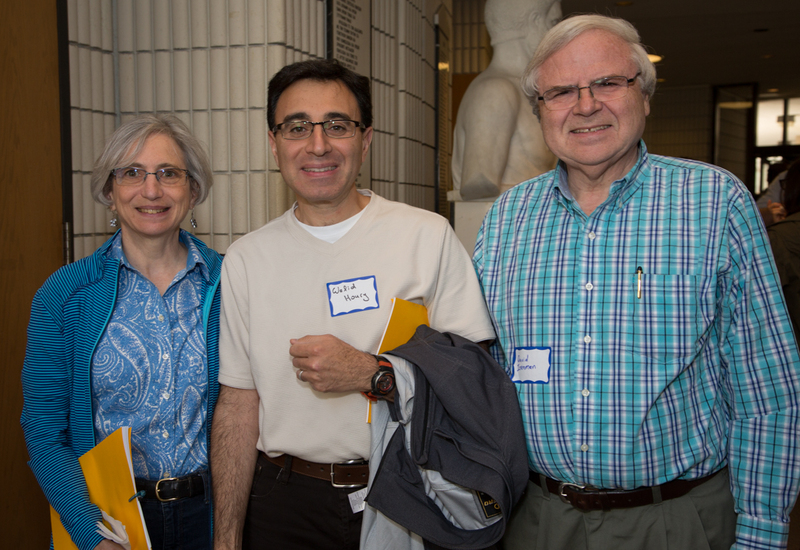 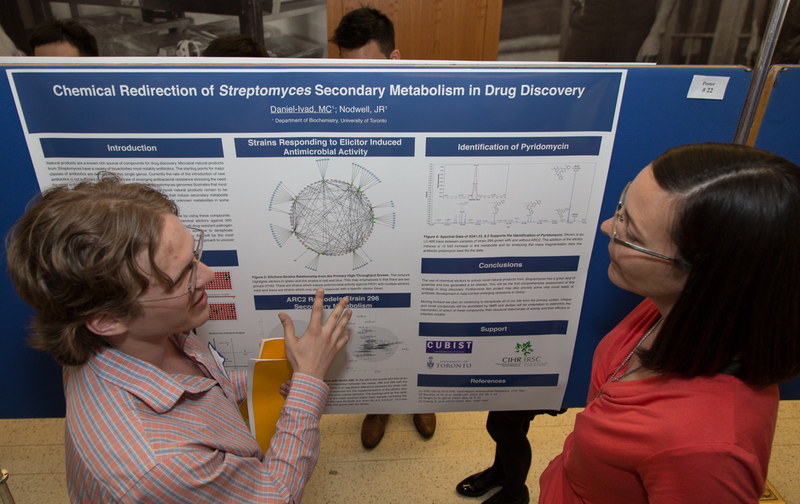 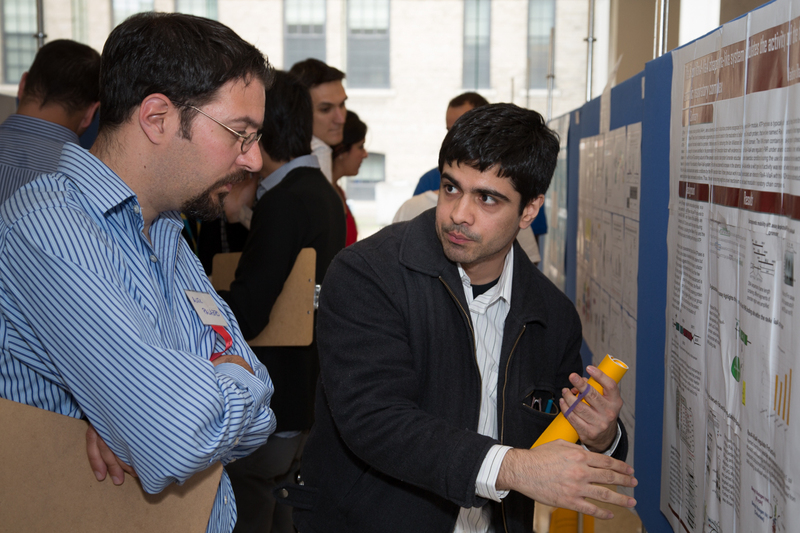 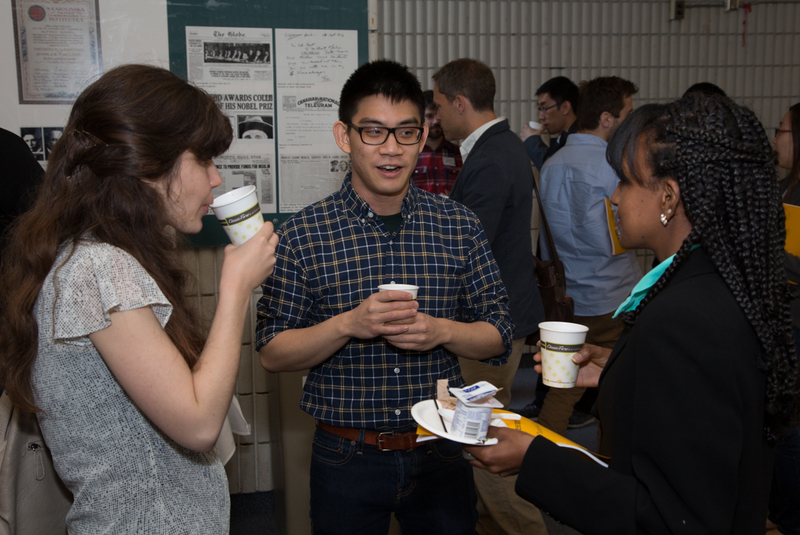 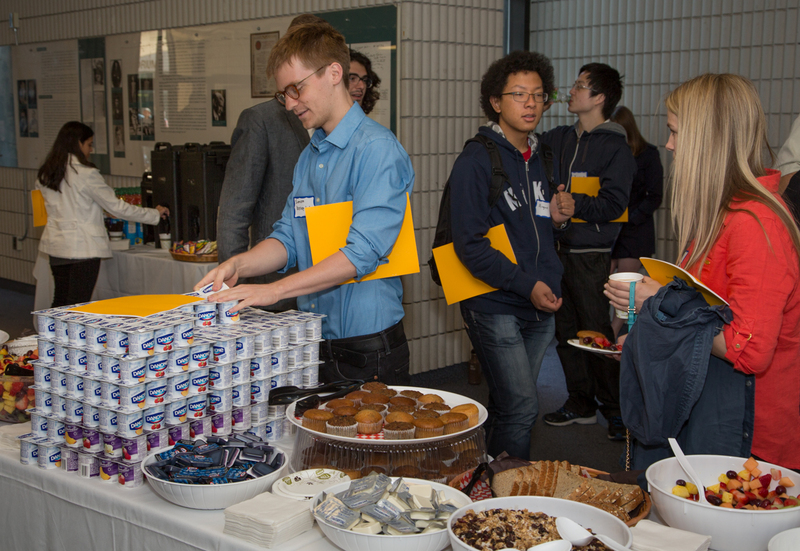 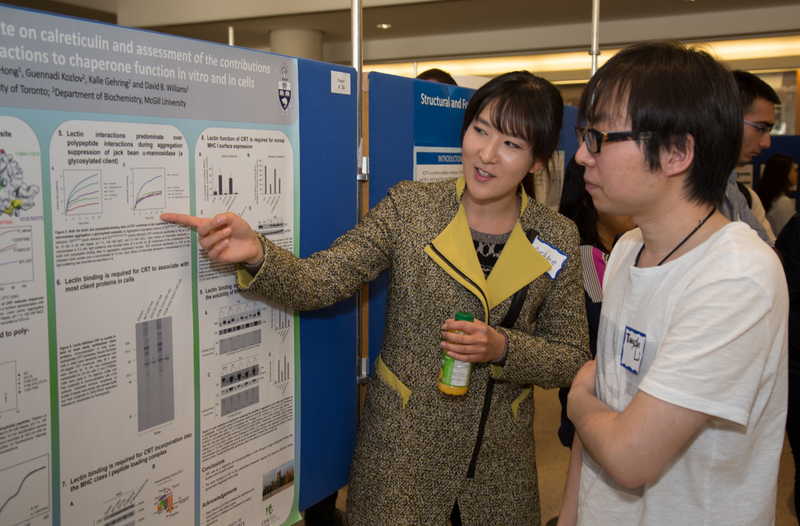 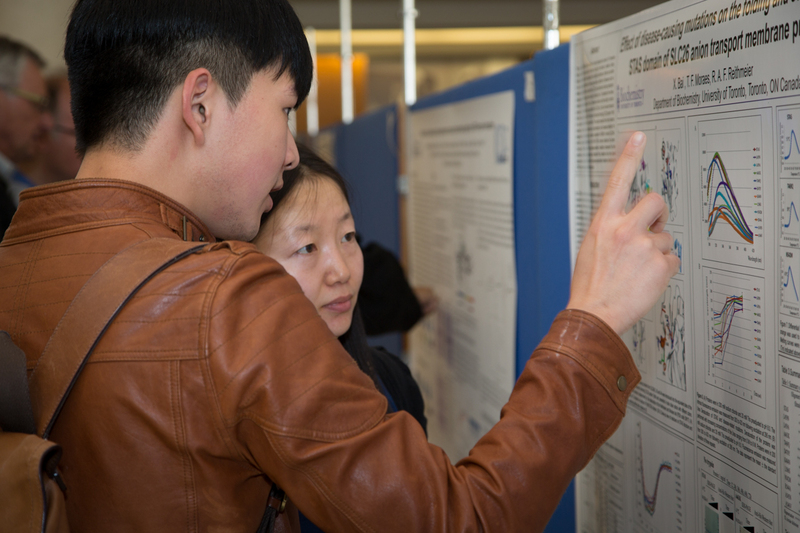 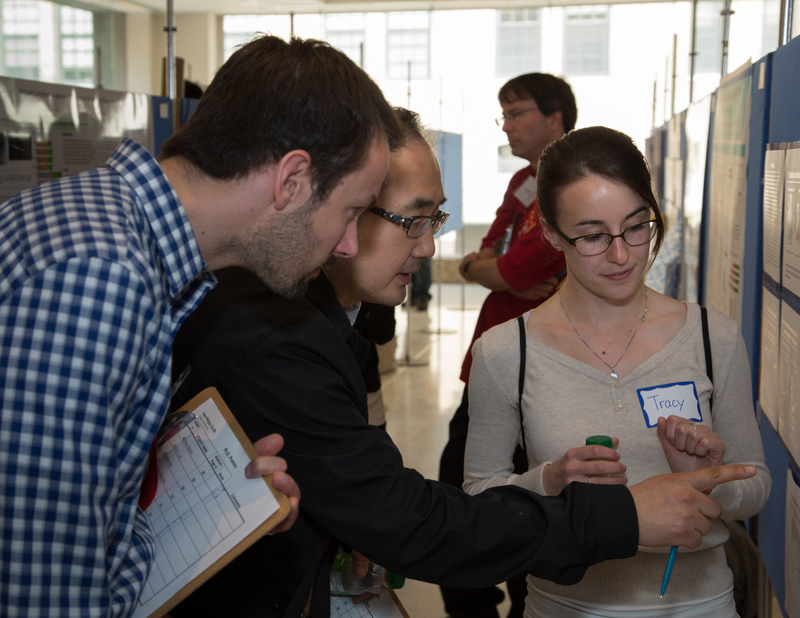 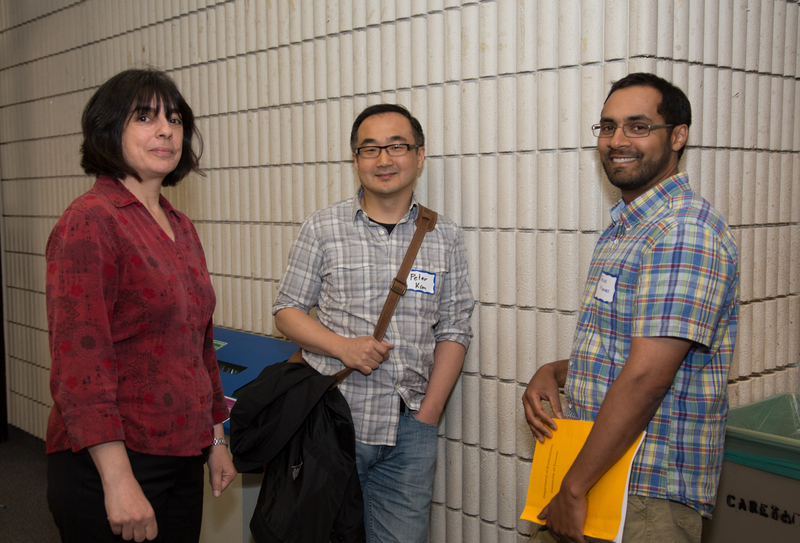 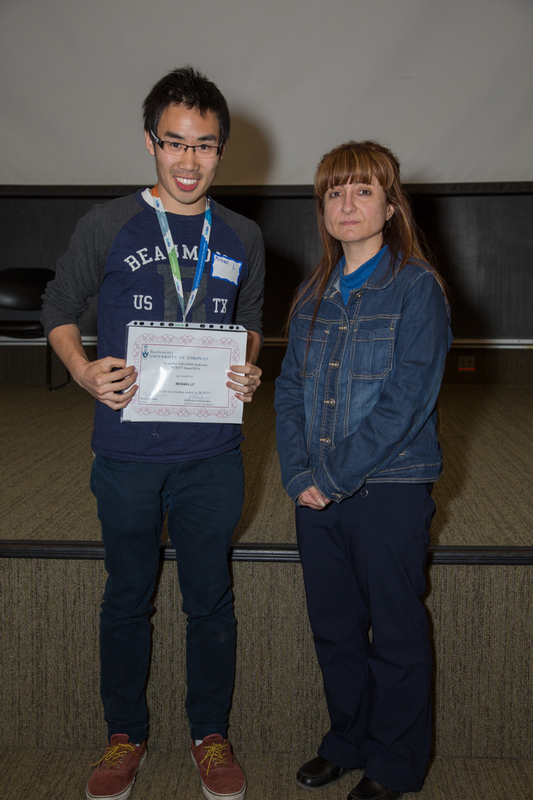 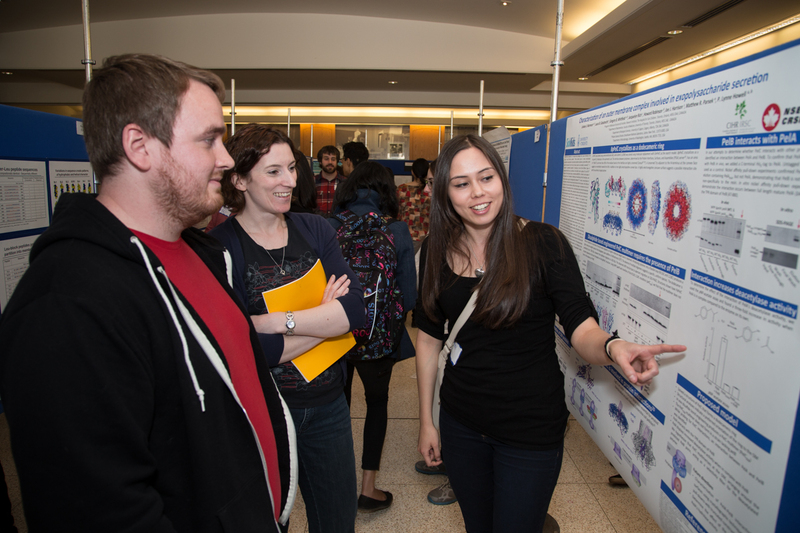 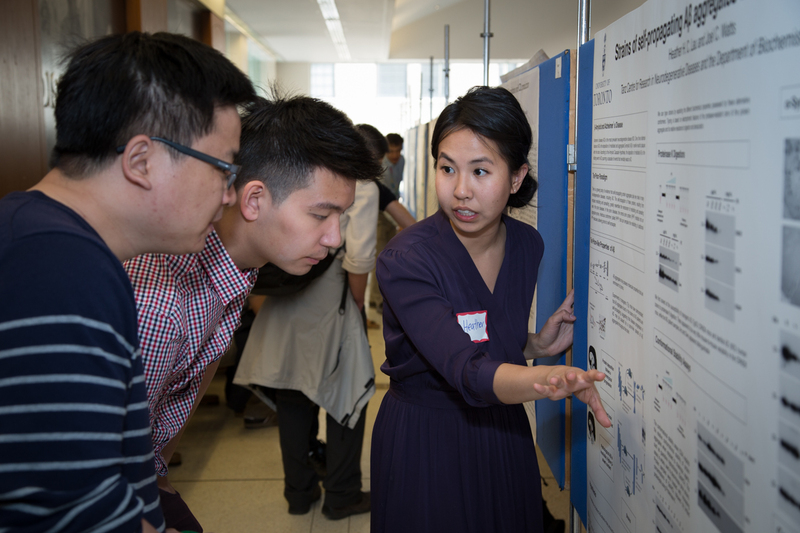 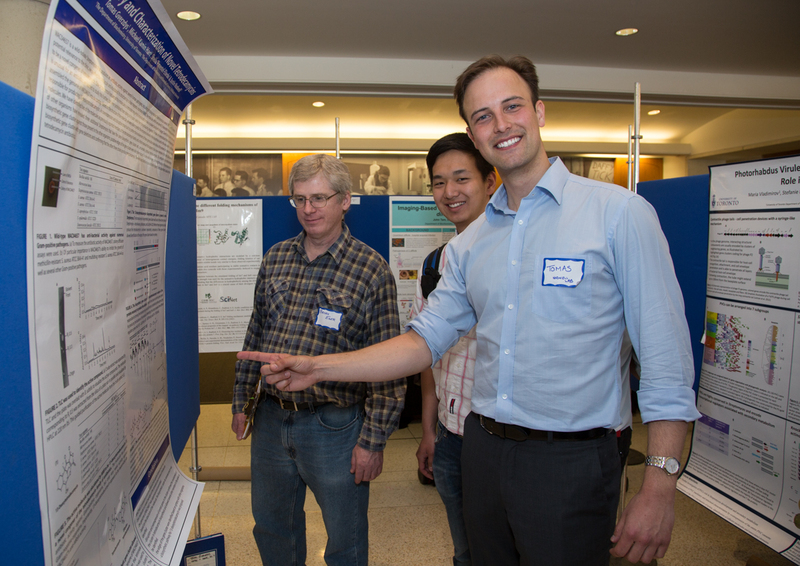 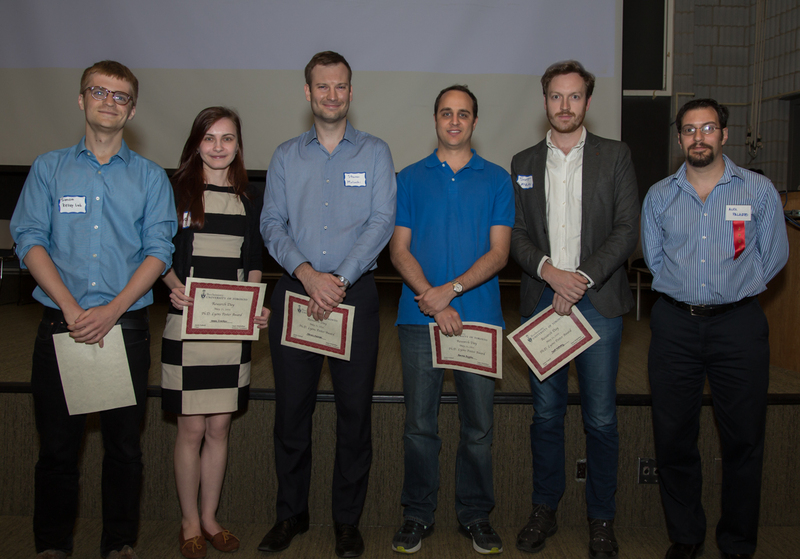 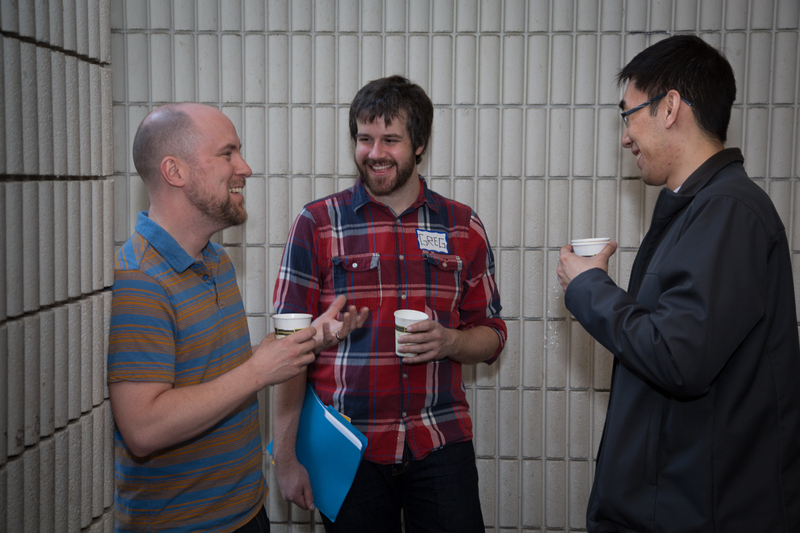 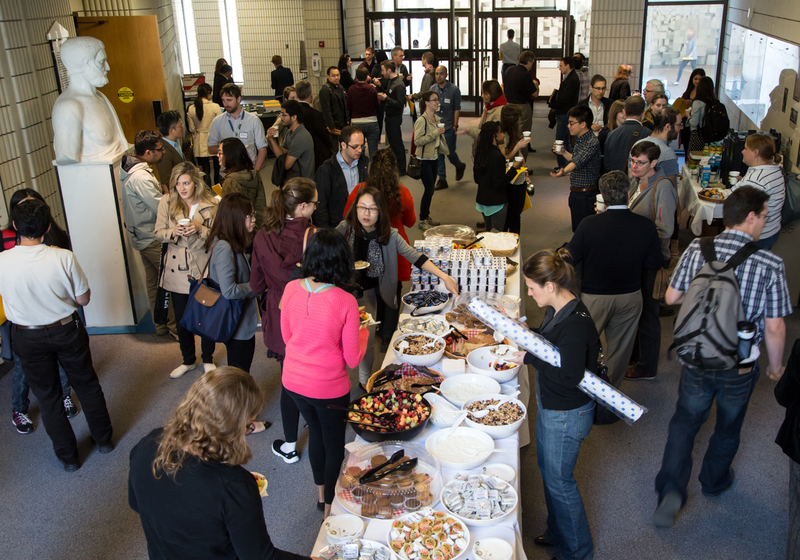 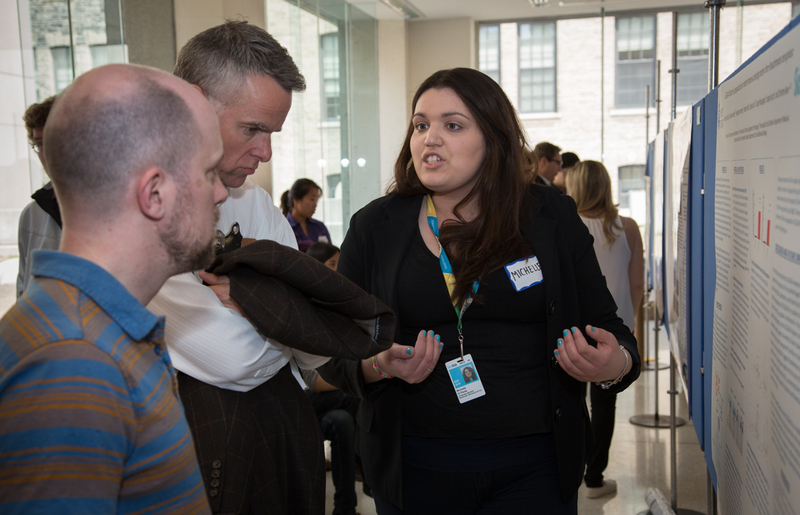 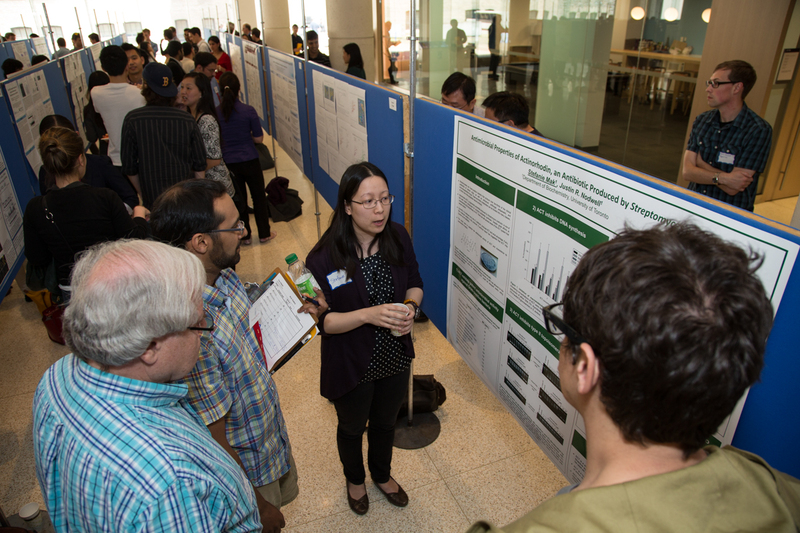 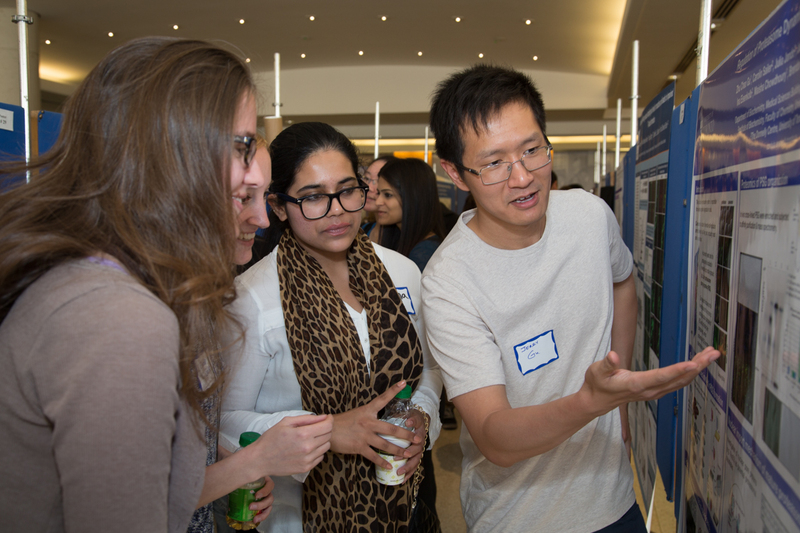 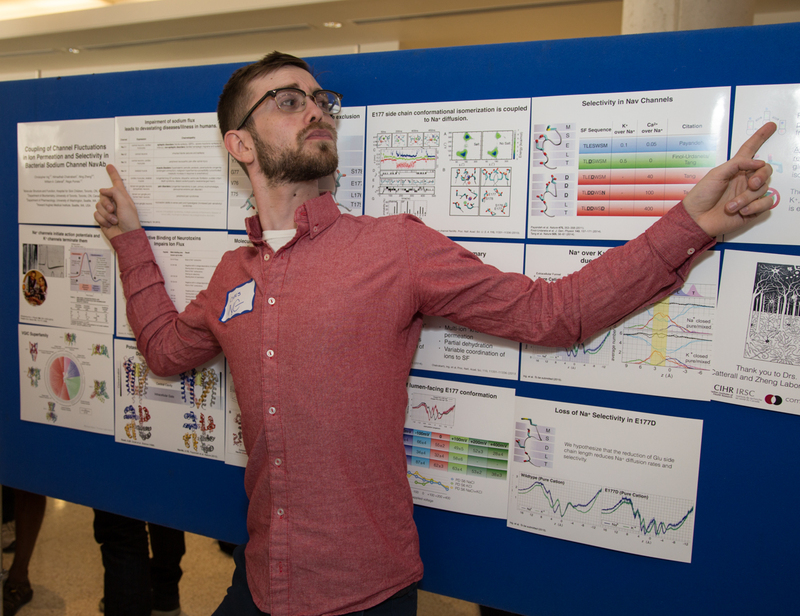 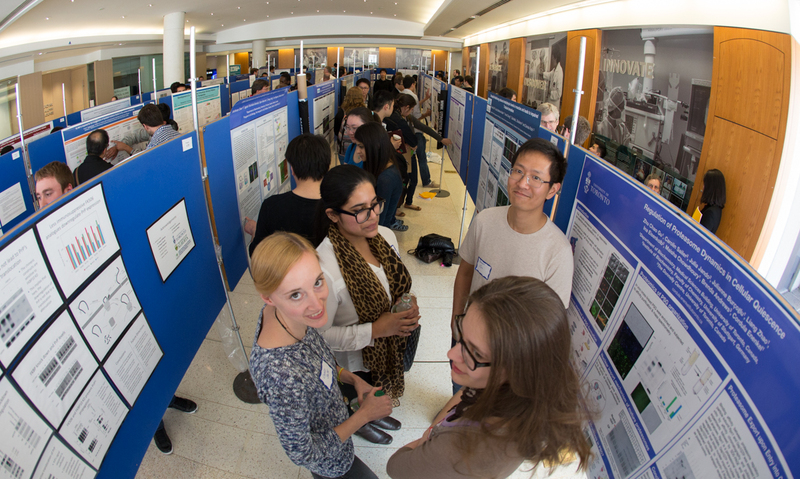 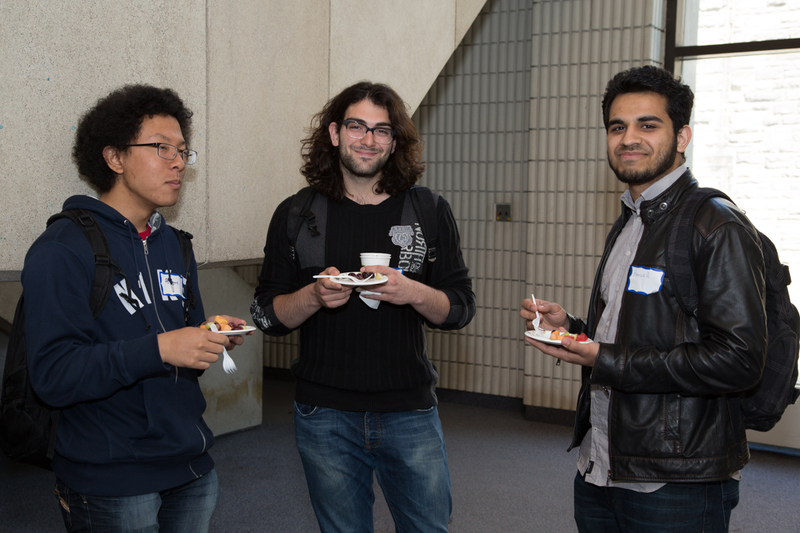 More than 200 attendees and 80 posters contributed to another highly successful Research Day. 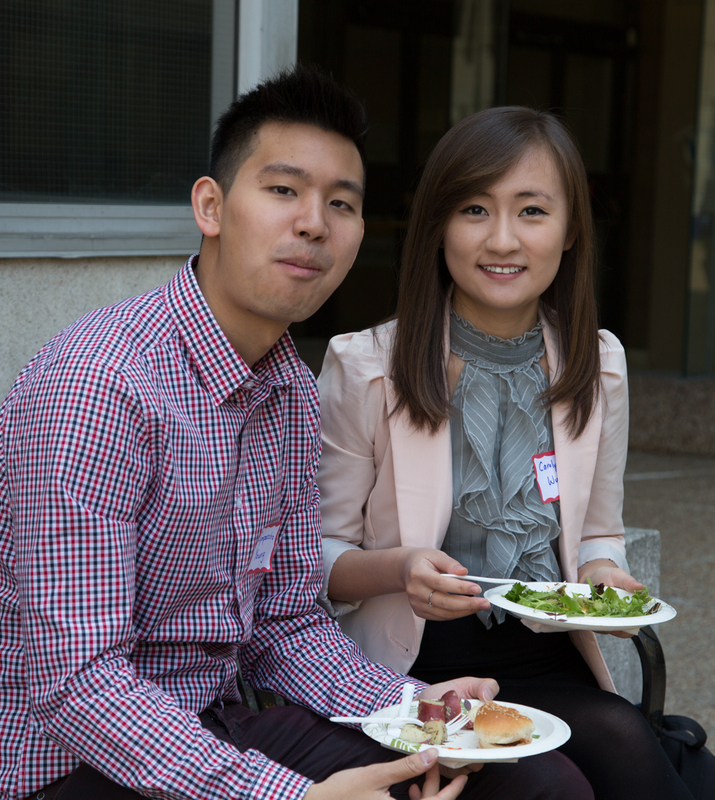 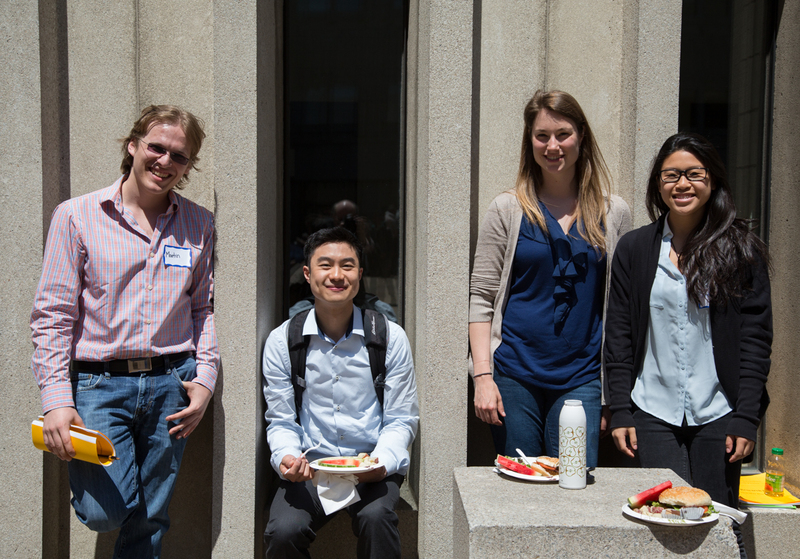 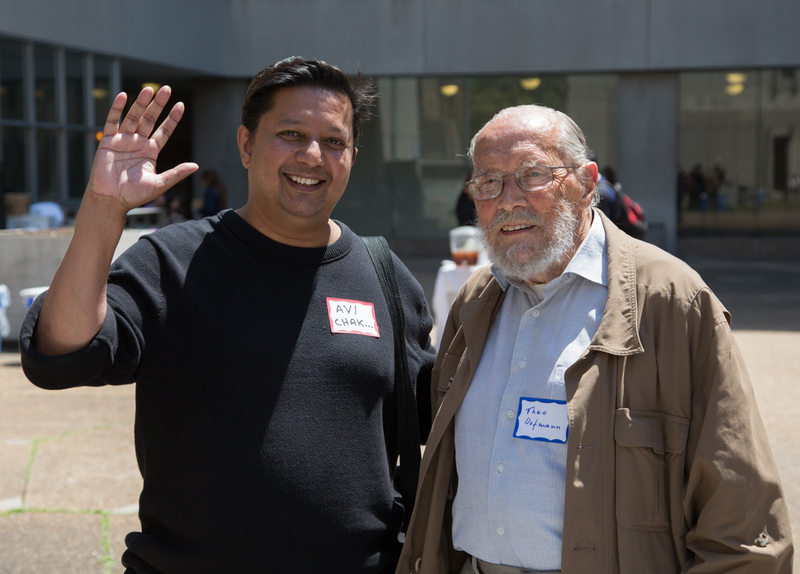 Held in the Medical Sciences Auditorium with posters in the Stone Lobby, we also enjoyed a BBQ lunch on the “patio” in between. 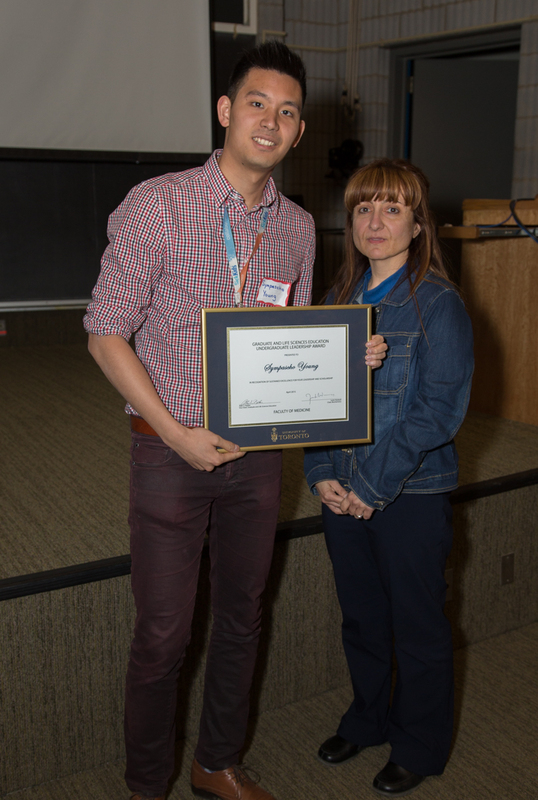 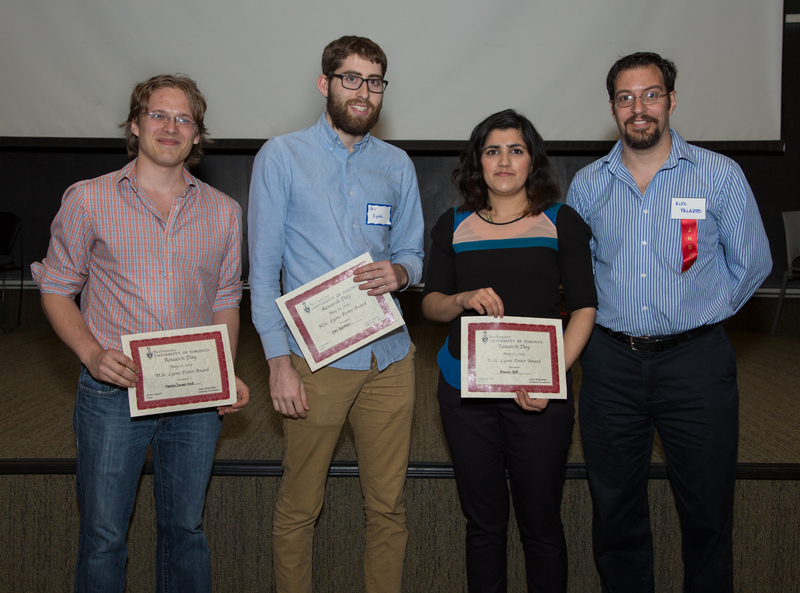 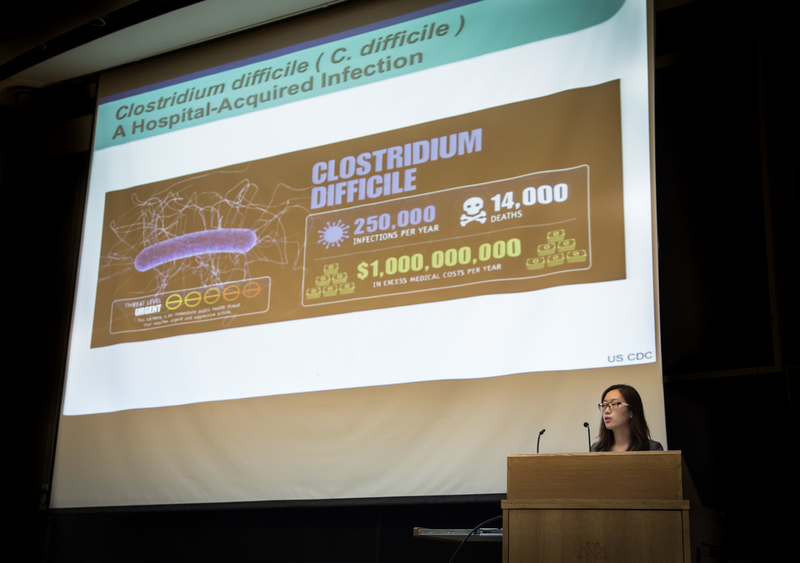 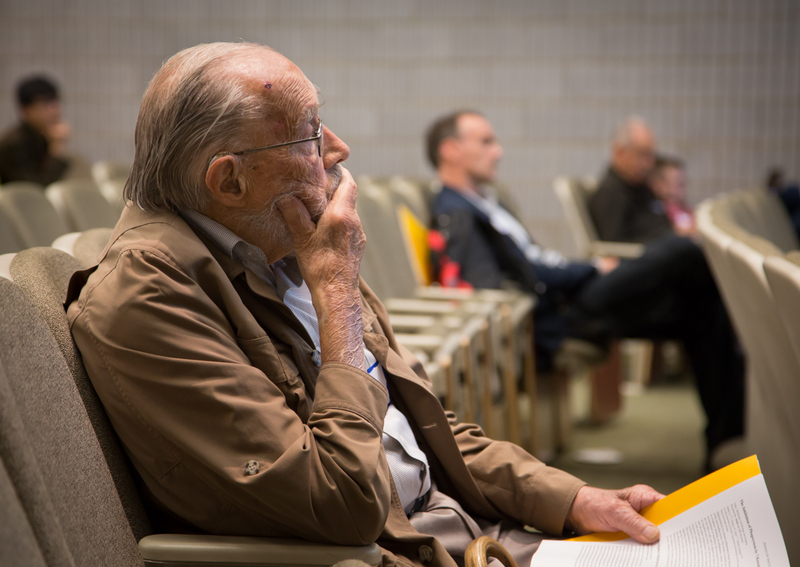 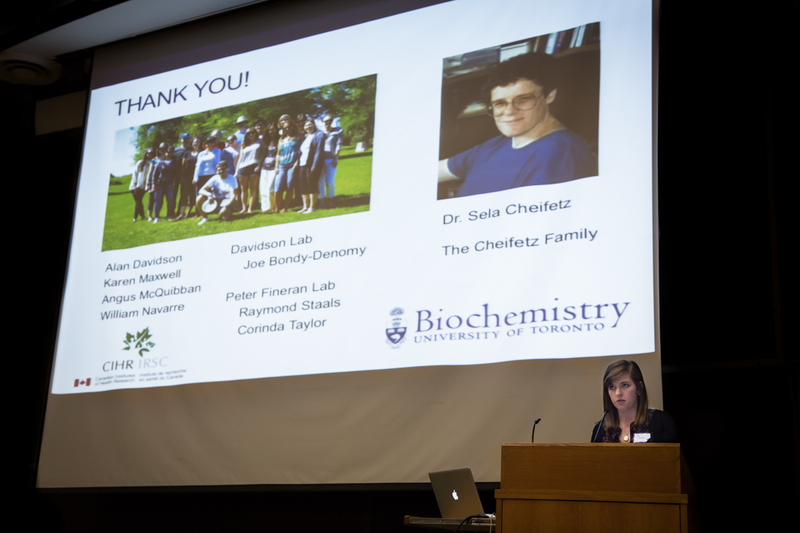 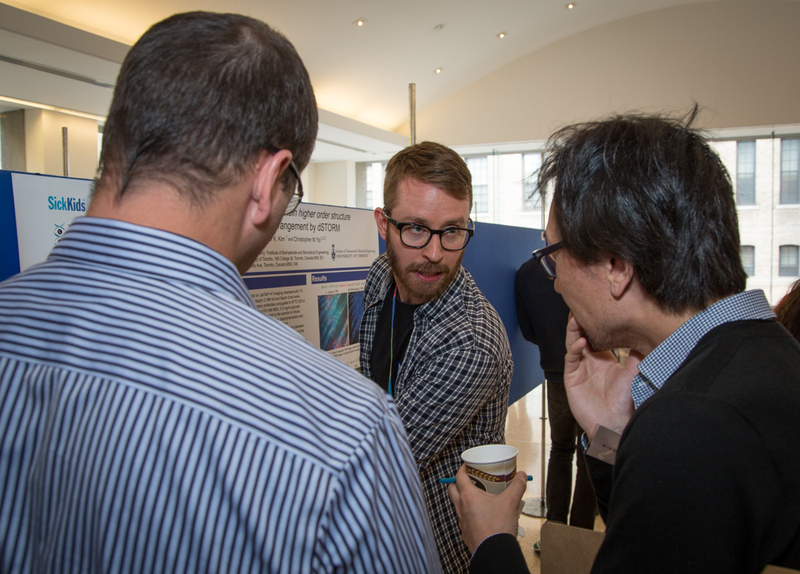 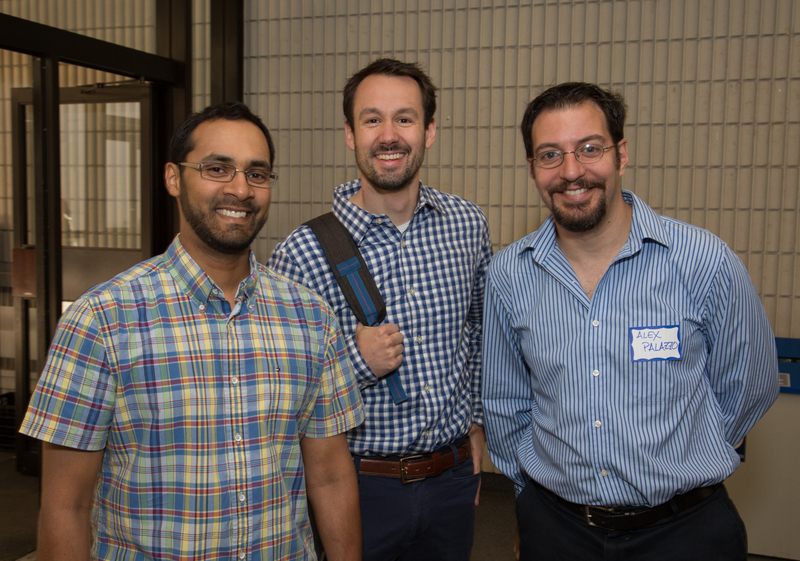 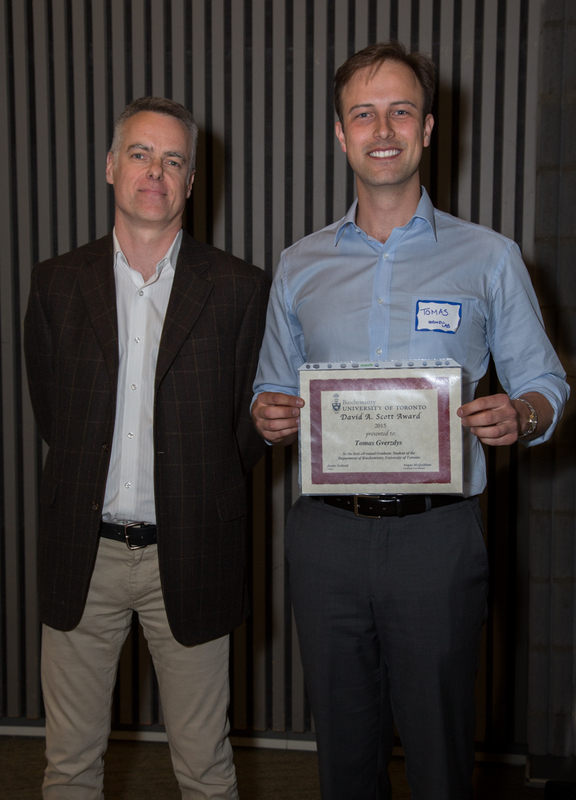 As always, the calibre of science was extremely high, featuring research talks from trainees and our newest faculty members, as well as excellent poster presentations. 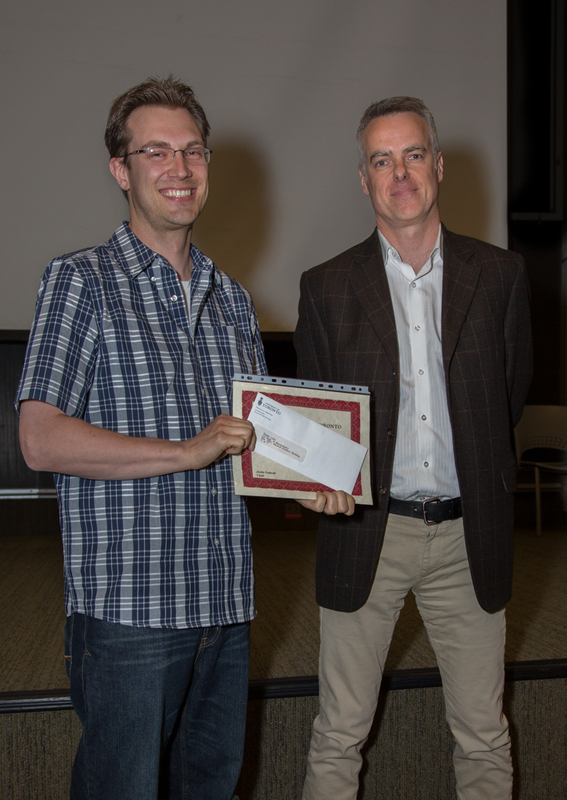 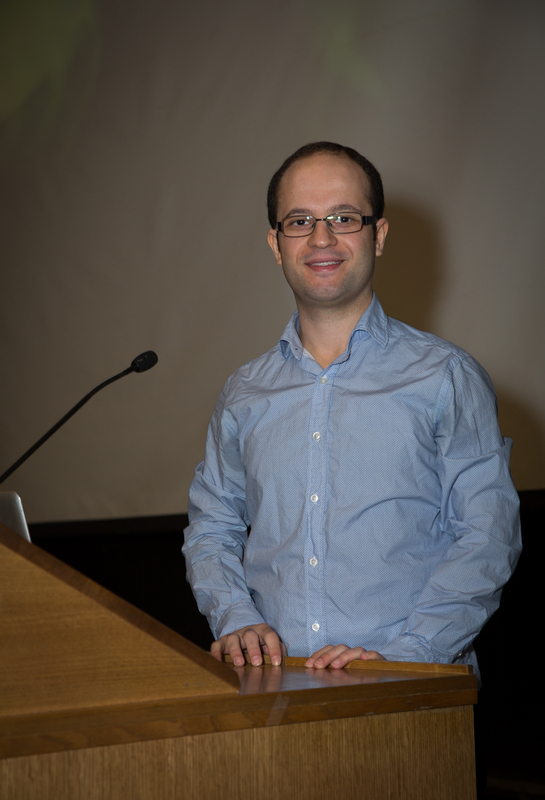 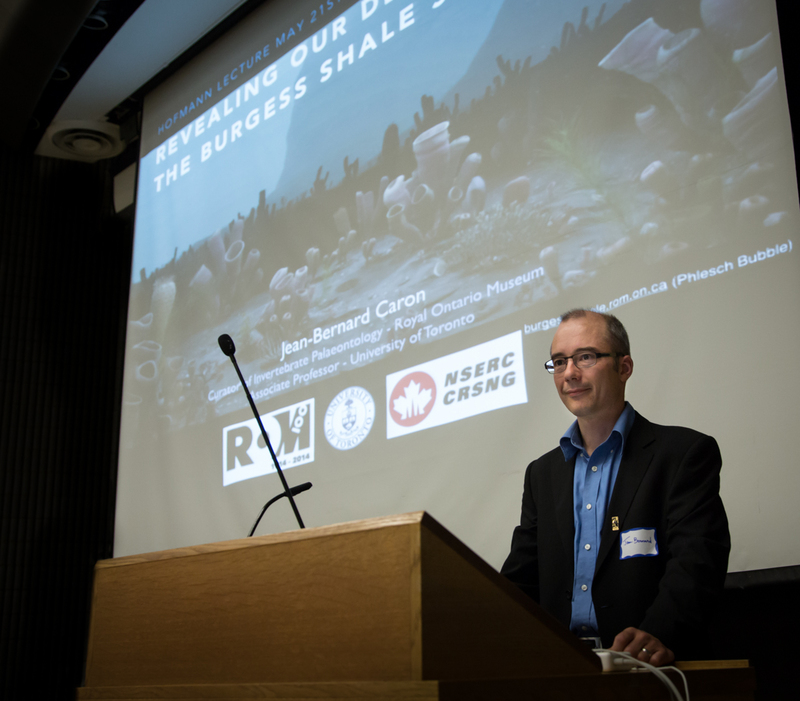 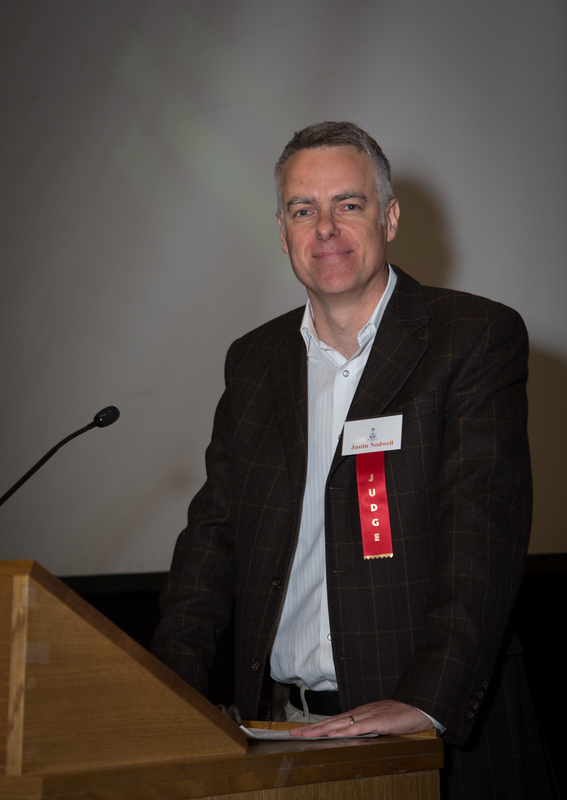 We also enjoyed our annual Theo Hofmann Lecture (this year by Dr. Jean-Bernard Caron, Curator of Invertebrate Palaeontology, Royal Ontario Museum and Professor, U. of Toronto) who spoke about the fascinating fossil discoveries in the Burgess Shale deposit and similar locations within B.C. 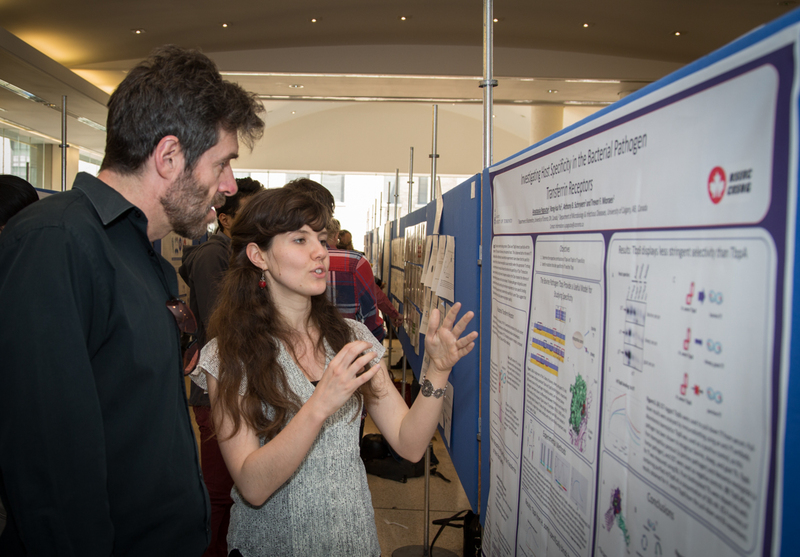 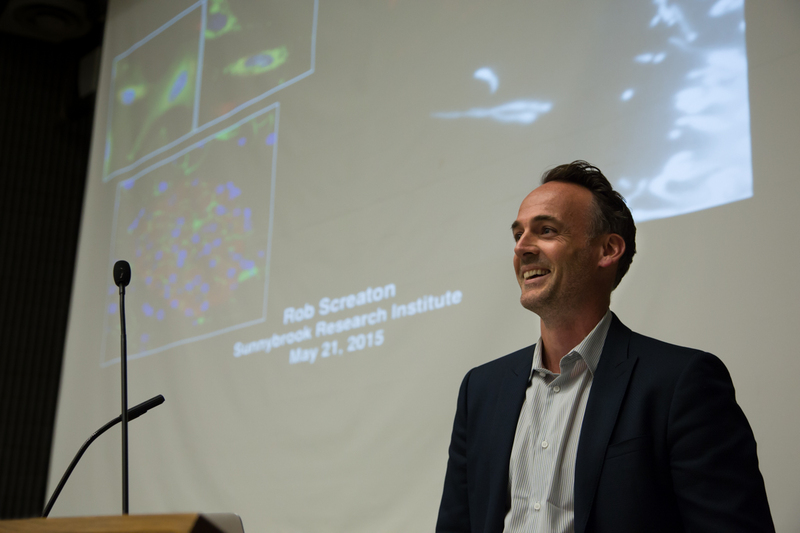 With good food, great science, perfect sunny weather and the chance to catch up with colleagues, Research Day was clearly a highlight of the year. 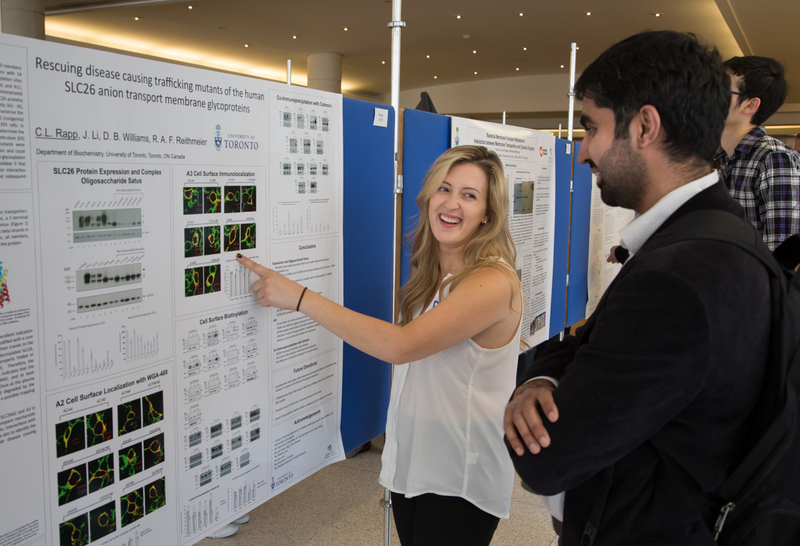 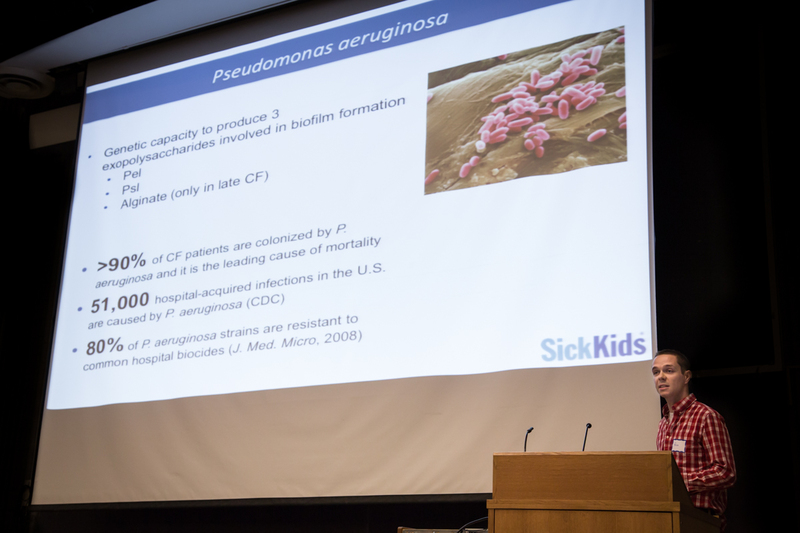 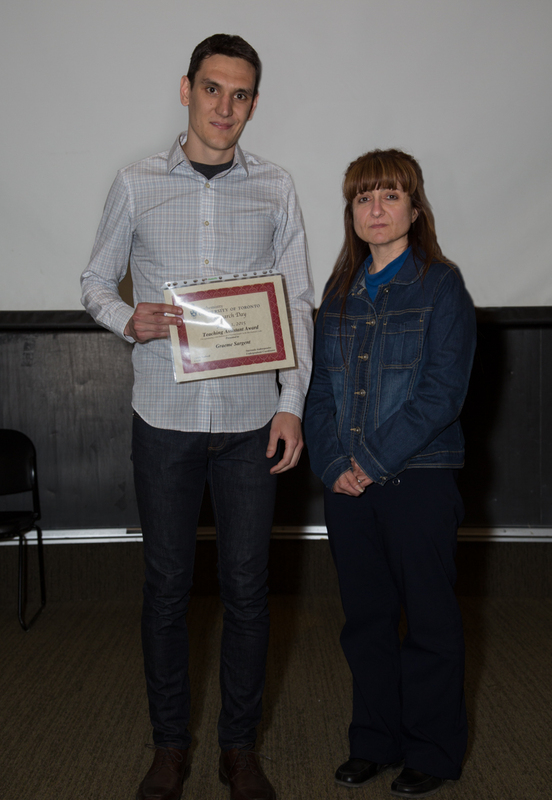 For more photos of Research Day, click on any image below to enlarge or press the play button on any enlarged image (bottom left) to start a Slide Show.